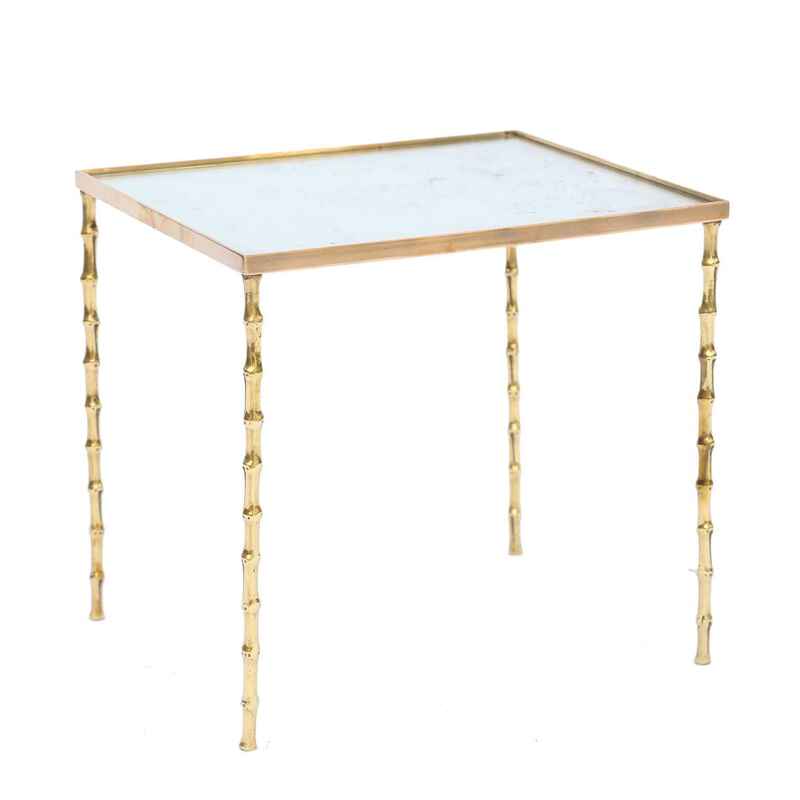 Side table, in the style of Maison Bagues, having a rectangular top of spotted mirrorplate, inset on a base of polished brass, raised on four faux bamboo legs. CONDITION: Excellent condition. Spotted/aged mirror. Side table, in the style of Maison Bagues, having a rectangular top of spotted mirrorplate, inset on a base of polished brass, raised on four faux bamboo legs. CONDITION: Excellent condition. Spotted/aged mirror.